We bring the following Core Virtues to our relationships and associated insurance transactions: Wisdom, Responsibility, Preservation, Diligence, Humility, Patience & Philanthropy. Joe is a Commercial Insurance Underwriting and Risk Management Executive with 25 years of experience. He has created, managed and led business units, to stability through his thoughtful and calculated decision-making. 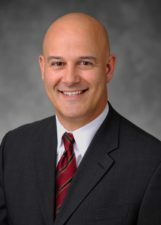 With his successful management roles at Deloitte Consulting, Kemper, AIG and most recently, Hudson Insurance Group, Joe brings a strategic focus to Virtue’s insurance operation by concentrating on Virtue’s three main objectives: Underwriting Excellence, Operational Excellence, and Streamlined Distribution. Joe’s long history as an industry veteran has established his intent to carry his client-minded philosophies to help grow underwriting operations with stability for all of his business partners. Joe holds a Master’s Degree in Business Administration, Executive Management from Fairleigh Dickinson University and Bachelor of Science in Business Administration, Finance from Rider University, NJ. 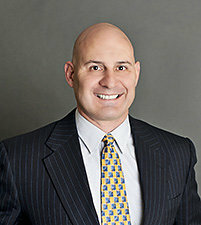 Joe also holds three professional designations, CPCU, ARM, and AIM. Joe has strong industry ties to the American Association of Managing General Agents, the AAMGA Automation Committee, the National Association of Professional Surplus Lines Offices, and Michigan Petroleum Association. 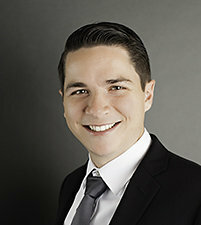 Joe has also been published several times in key industry trade publications. 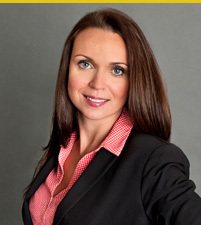 As Executive Vice President, Aleksandra manages all non-underwriting operations for Virtue Risk Partners. Prior to Virtue Risk Partners, Aleksandra held a variety of roles including but not limited to international work experience with Deloitte as a tax professional in their Stamford office and as an advocate for the Rally Foundation to raise funds and contribute to making additional pediatric cancer medical research possible. Aleksandra also currently remains closely affiliated with the Rally Foundation. Aleksandra has a Bachelor of Science in Business Administration degree in Marketing from Boston College. 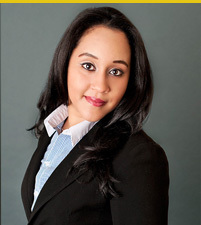 Desiree is a graduate of Manhattanville College with a Bachelor of Arts in Communication and Spanish. Desiree most recent work experience was at New York Life Insurance Company where she served as licensed Life and Health Insurance Agent in the Latino Market. In her current role, Desiree will remain a focused member of our renewal underwriting team. She will also manage our processes so that our underwriting teams have the tools and functionalities to efficiently process our transactions from account clearance to invoice delivery. Tracey brings professional demeanor, a track record of reliability, strong organizational, administrative, and top notch customer service skills. Tracey’s most recent work experience was at Avon where she supported the Clinical Testing Center and prior to that, she was employed by KPMG and CA, Inc. in an Executive Management support role. Tracey is organized, efficient and precise as she provides administrative support to the underwriting team and to our distribution partners, that helps us serve our mutual clients with the speed and accuracy required. She is also our clearance quarterback and will be following up on subjectivities needed for policy issuance and timely delivery of documents. 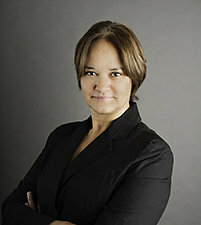 Tracey is also starting to work with our renewal team to process your valuable renewal business. Geoff is a CPCU designee and a graduate of Virginia Commonwealth University where he studied Finance with a focus in Risk and Insurance. Geoff most recently worked with James River Insurance as an Underwriter in their Environmental Division, where he worked closely with wholesale brokers throughout the western United States to place complex environmental accounts. Geoff will serve on our New Business team and will be key to helping our Agents win new business with creative yet responsible insurance solutions. 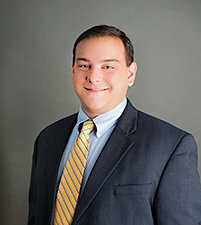 Joshua is a CPCU designee, a Certified Construction Risk and Insurance Specialist and a graduate of Virginia Commonwealth University where he studied Risk and Insurance and Finance. Josh has worked as an Underwriter of manufacturers and contractors for the past several years and will be focused on writing new business to build our Environmental and General Liability programs. Josh will also be responsible for helping our Agents responsibly win new business by using his underwriting experience and his knowledge of general liability underwriting and the wholesale distribution network. Mr. Lavoie has thirty years of diverse experience in all aspects of risk management and insurance from sales and brokerage, to claims management, legal and compliance. Mr. Lavoie is responsible all legal matters at Virtue Risk Partners including licensing, contracts, real estate, human resources, corporate compliance, as well as claims, policy wording and endorsements. Mr. Lavoie is also an expert in environmental law including regulatory compliance, Phase I, Phase II, and Remedial Action reports, due diligence and litigation, insurance coverage, and risk management. In addition, Mr. Lavoie’s experience includes handling RCRA and CERCLA matters as well as vapor intrusion, mold, and other indoor air quality issues. Mr. Lavoie has practiced law at a prominent international law firms including Steptoe & Johnson and Cadwalader, Wickersham & Taft in New York City. He has also held senior-level corporate positions at major insurance and financial services companies including General Counsel of Navigators Group, Senior Vice President and Environmental Practice Leader at Marsh USA, Inc., and Principal and Chief Compliance Officer at Integro Insurance Brokers. Mr. Lavoie is licensed to practice law in New York, New Jersey, and Massachusetts, as well as various U.S. District Courts around the country. Janel is an accomplished and energetic licensed insurance professional with a solid history of achievement in the insurance industry. A motivated leader with strong organizational and prioritizing abilities. Areas of expertise include networking, cross-selling and customer minded operational execution. Janel has worked for Allstate, State Farm and other insurance sales, underwriting, office management and customer support roles.